2008 Pro-Sports Pro Kat Pro Kat New to the market, hard to find, 2008 Pro-sports 37' ProKat powered by twin 300 Suzuki outboard motors w/ ~900 hours. Rigged and ready for fishing with fresh bottom paint, nice electronics, diesel generator, lot's of storage and a nice A/C interior. Great fishing machine that won't last. 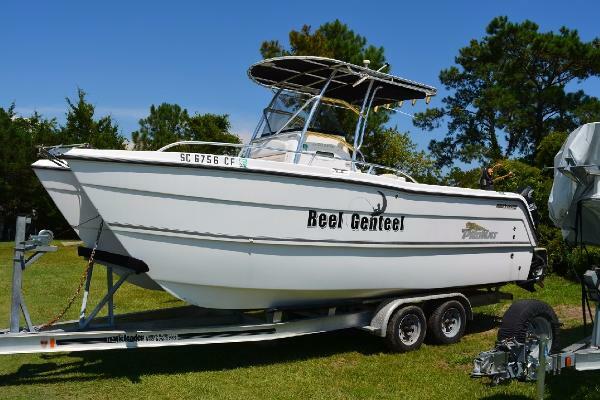 Fresh detail job, top to bottom make this boat an attractive buy that is priced to sell. 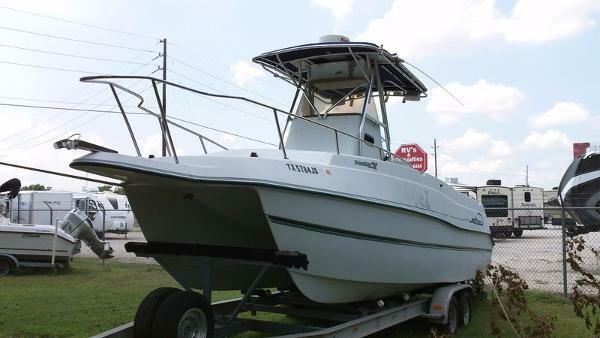 1999 ProKat PRO SPORTS You are not going to find a more affordable cat with twins. the 2650 cc, powered by twin Yamaha 150hp OX66 Saltwater Series outboards, continues to find favor with its no-nonsense fishing design. Comes complete with a tandem axle Real Extreme aluminum trailer.1999 Prokat pro sports,2016 TOP ,new TIERS, new HUBS,new BARINGS,new BRAKES, AND new GRAPH. 9in Raymarine multifunction touch screen. runs great and compression is good on both engines. 2007 trailer. call or text John at 864-420 3 eight 54. $17,900 make me an offer. ready to make room in the driveway! 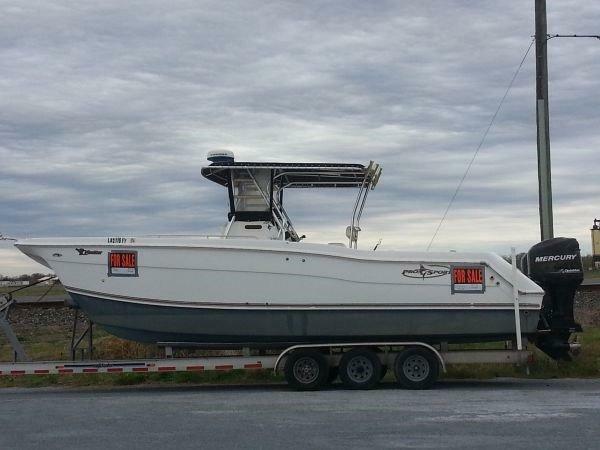 2006 ProKat Pro Sports 2860 Twin 225 yamaha four strokes with 400+-hrs , Double axle trailer. well maintained. Fuel filters with water seperators, Spreader LED lights, all new seat cushions. 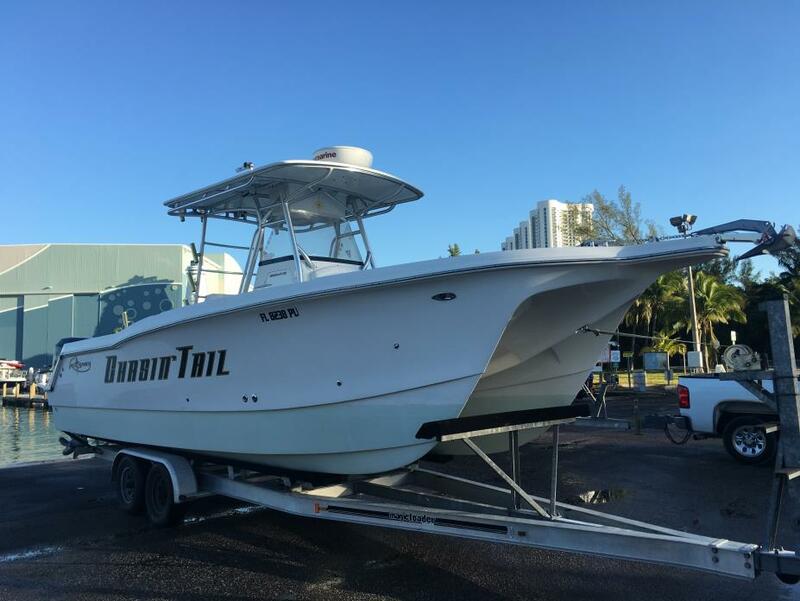 Windlass, Aluminum and gold anodized alluminum T-top with fiberglass hard top, nav lights, custom made round livewell, Raymarine E120 GPS, Raymarine Radar, 2 VHF, Stereo, 4 Batterys, 6 big storage compartments, Trim Tabs. 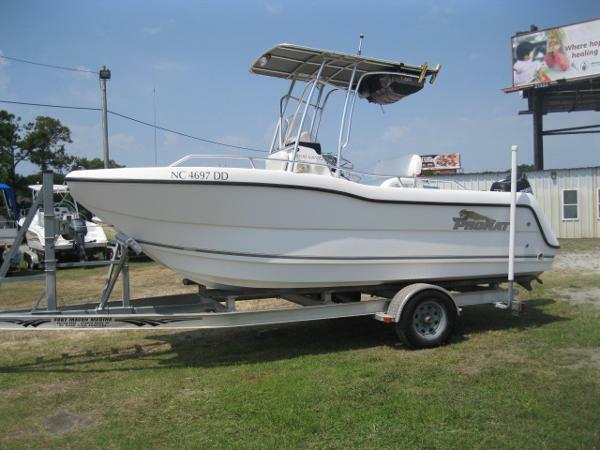 2000 Pro Sports Pro Kat 2000 Pro sports pro kat twin 130 honda outboards electronics Windlass Trailer Get out and fish! This is a STEAL!! email for more information or to make an offer! 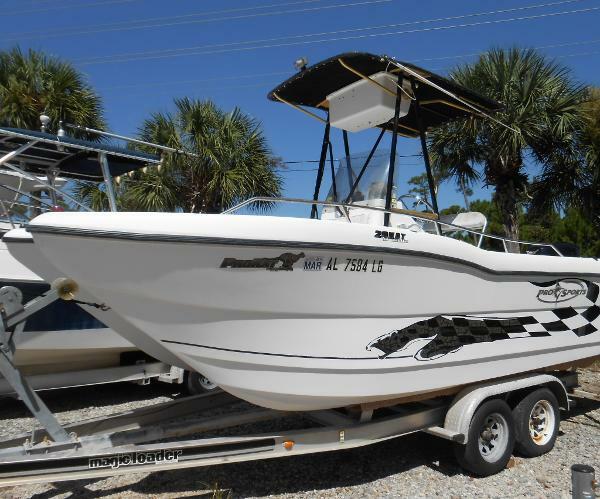 2005 Pro Sports Pro Kat This 2005 Pro Kat comes with a wide range of features including Twin 2005 Suzuki 200s with 140 hours on them, Magic Tilt Trailer, Garmin GPS, Furuno Radar, VHF Radio, Windless, Vacu Flush Head and plenty of room for family fun! Contact us for more details (910) 755-7900. 2001 Pro Sports 2200 WA ProKat Pro Sports 2200 Kat Walk Around with Twin 115 Yamaha Four Strokes with 3 Blade Stainless Steel Props. Easy Walk Through Center Transom Door and Rear Fiberglass Fold Down Ladder. Twin Transom Integrated Fish Boxes with Aeration, Removable Forward Facing Seats, Flush Mount Rod Storage and Combing Pads for Comfort. Attention to Details Like Stainless Steel Cleats and Rod Holders, and two Large Deck Mounted Self Draining Fish Boxes. Cushions Captain and Co Captain's Chairs, Aluminum Frame Soft Top with Overhead Electronics Box, Stainless Steel Steering Wheel and Yamaha Gauges and Controls. Spacious Cabin with Sleeping for up to Four Persons, Mini Sink, Removable Pedestal Table, Port and Starboard Portholes, and Sea Through Ceiling Hatch. 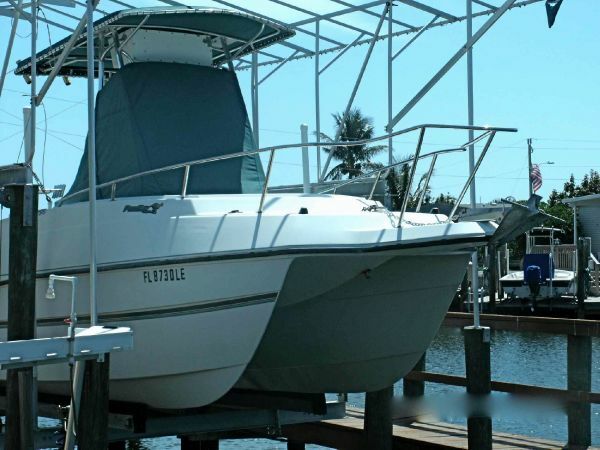 This Stable Fishing Platform with Twin 115 4-Strokes will not be here Long, Call fo More Information. 2003 Pro Sports 201 Pro Kat This is a nice Cat Boat with a Yamaha 150 with under 400 hours( according to the owner). 2 stroke - 48 Gallon Gas Tank - Runs over 40mph - Aluminum Tandem Trailer - T top - Spreader Light - Boarding Ladder - Stereo - More. Call or email with questions. 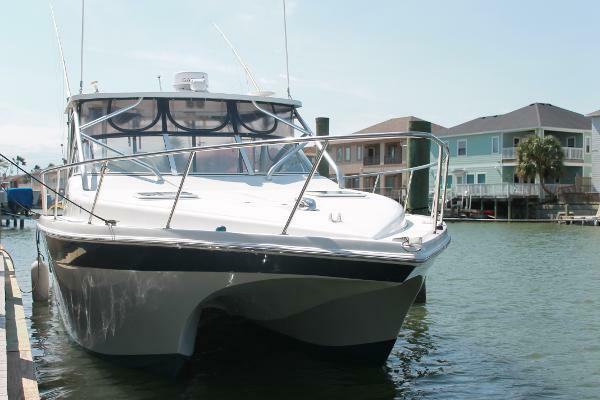 1999 Pro Sports 2650 Pro Kat 360 VIEW AVAILABLE 1999 PRO SPORT 2650 Pro Kat The 150 H.P. Yamaha engines are in great shape with very low hours. 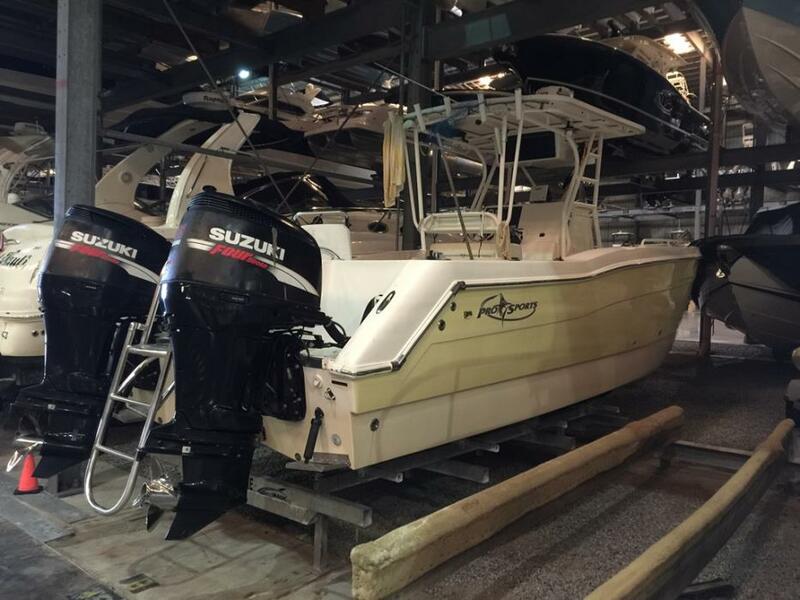 This Pro Sport boat has been well maintained by a very knowledgeable owner. With Pro Sport's huge fishing deck, 2 large fish box, 2 live wells, bait prep station and walk in Head makes her a great fishing platform. Loaded with electronics this Pro Sport can find the fish and get you there and back quickly!! ProKats catamaran hull is renown for being able to handle rough water while giving a smooth ride. 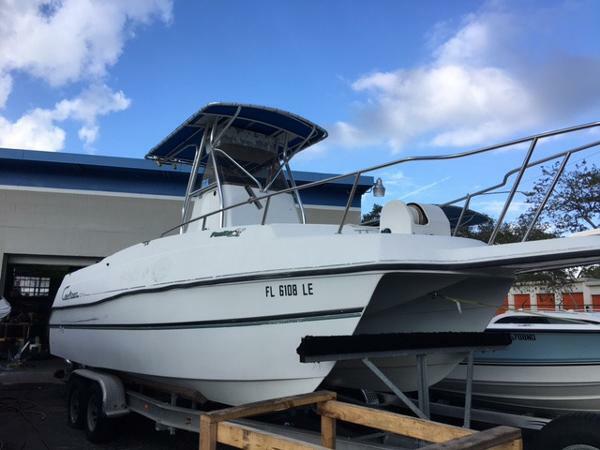 2006 Pro Sports Pro Kat 2200 Powered by twin four stroke 140 HP Suzuki outboards, features include excellent Garmin electronics, autopilot, down riggers, and factory T top. Price includes custom Magic Tilt trailer. Call today for more information!! 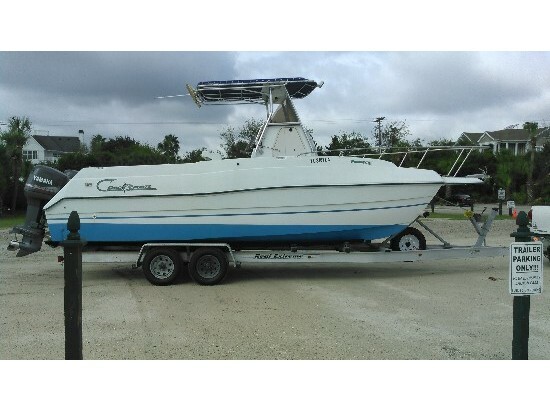 2000 Pro Sports 2650CC Pro Kat (LOCATION: St. James City FL) This Pro Sports 2650 CC ProKat is a common sense fisherman with her catamaran hull providing safety, stability, room, and speed. With a large cockpit with room fore and aft this center console provides the fish-ability that you expect from a ProKat. There is room for many with bow seating, forward console seat, and rear jump seats. She features a blue T-top with rocket launchers and overhead electronics box. The helm is equipped with leaning post, stainless steel wheel, hydraulic steering, full gauges and controls. The electronics package includes: Garmin 235 GPS display with chart plotter, depth sounder, and fish finder, a Tournament 480 Max fish finder, Ritchie compass, Panasonic AM/FM/Cass stereo, and Uniden President VHF radio. The walk-in center console has porta potty and lots of storage space. The large cockpit has the room and is equipped for serious fishing with, top-mounted rocket launchers, leaning post rod holders, gunwale rod holders, under gunwale rod storage, bolsters, dual 11.5-gallon live wells, in-deck fish boxes and raw water wash down. Additional features include stainless steel bow rail with anchor, anchor locker, and roller. 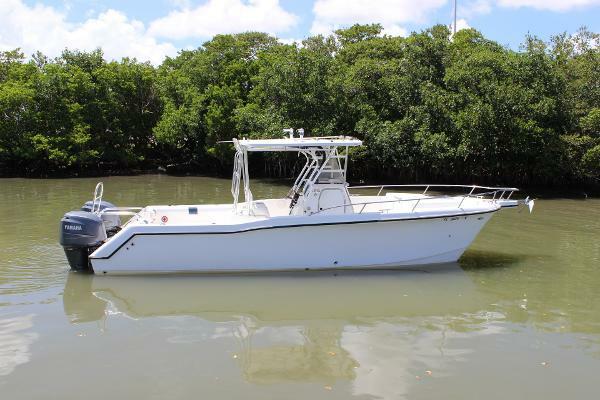 There is a walk-through transom with swim / dive platform and boarding ladder.Power is provided by twin Honda 4-stroke engines that are fuel injected and provide excellent power and economy. 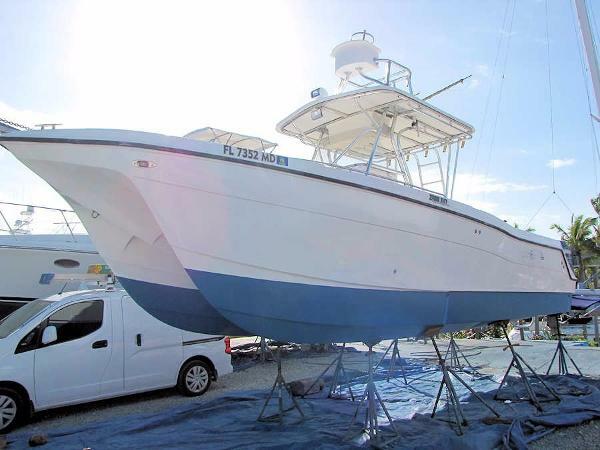 Lift-stored, with no bottom paint this very clean center console is ready to fish now. 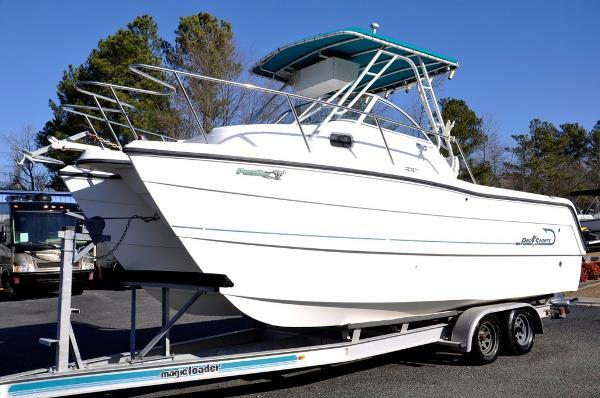 Call now for more information and to schedule a showing of this Pro Sports 2650 CC ProKat. 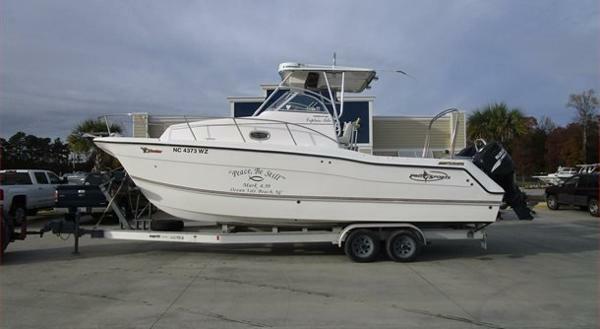 2005 Pro Sports Pro Kat 2680 Owner just dropped price a whopping $15k to get sold within next 7 Days! It will not last long. She has 950 hrs on her Mercury 225 hp Optimax CXL motor. Fuel capacity of 200 gallons.She comes with a compass. TRAILER INCLUDED!